Buffy in Shock. 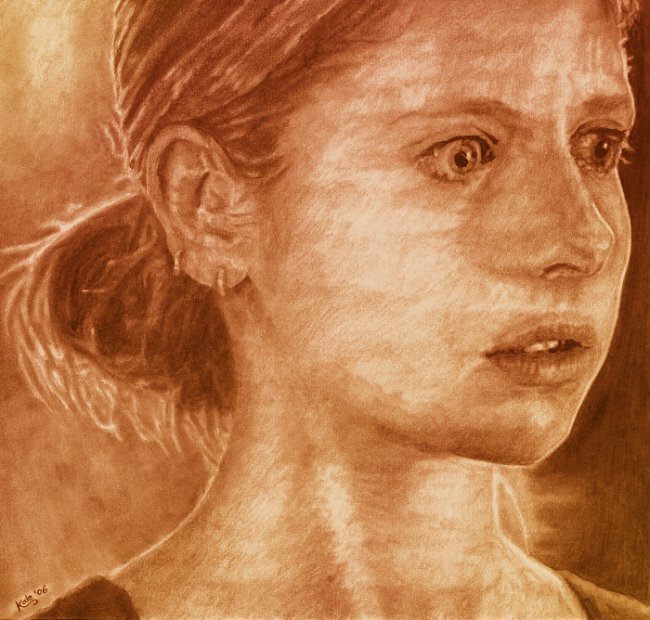 A drawing of Buffy finding staring at her mother in The Body - door Kate. Wallpaper and background images in the Buffy the Vampire Slayer club tagged: buffy the vampire slayer fan art kate drawing the body episode sarah michelle gellar. Wow I love this, it's amazing!